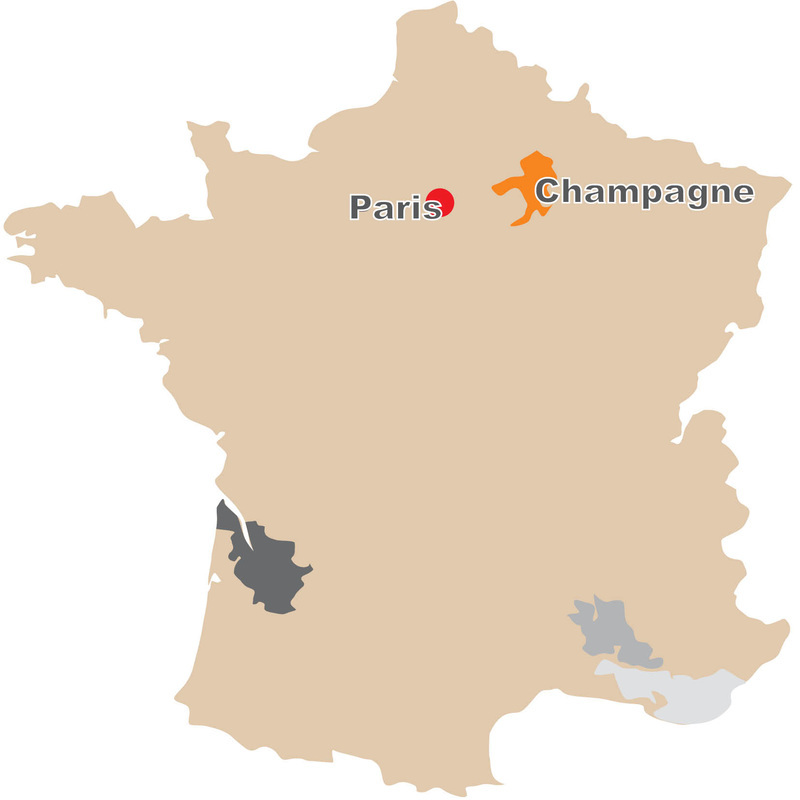 The existence of vineyards in Champagne dates back to the beginning of the era. The Romans were the ones to introduce grape-growing in the Champagne region. They had already identified the originality of the soil that gives Champagne its specificity, a transitional oceanic climate, chalky subsoil and sloping landscape. Champagne only appeared in the 17th century, once people began mastering the natural effervescence of the local wine and pruning the vines and blending crus and grape varieties, which is later known as the Methode Champenoise, supposedly created by a Benedictine Monk Dom Perignon, a process probably discovered by accident sometime in the early 18th century near the Abby of Saint Pierre. Closely linked to the monarchy, Champagne became the wine of coronations, then the wine of kings. Its success spread to the aristocratic elite of the world in the 19th century thanks to the energy of the Champagne Houses, which made it the symbol of French spirit. After 1945, the Champagne frenzy reached new social circles. The current annual production exceeds 300 million bottles. La Champagne’s vineyards are cultivated alongside chalky hills. These hills are the remnants of a build-up of maritime sediments that date back some 200 million years. The deep chalky subsoil stores the sun’s heat and reflects warmth into the vine roots. It assures perfect drainage and preserves humidity in the soil. The soil supplies mineral elements to the vines, giving Champagne wines unique characteristics and finesse not found anywhere else. ​Three grapes varieties are exclusively grown: Pinot Noir, Meunier and Chardonnay, blended skillfully to create various styles from pink, Blanc de Blancs, Blanc de Noirs, to exclusive vintage champagnes with an exceptionally rich texture and full body.